A bunch of live images of an Oppo smartphone appeared online but unfortunately, even the source doesn't know the exact model of the handset. The anonymous tipster himself isn't sure if this is the upcoming R19 or the F11. What's for sure is that the phone has a pop-up selfie camera similar to the vivo NEX, which lets it do without a notch or a punch hole camera. 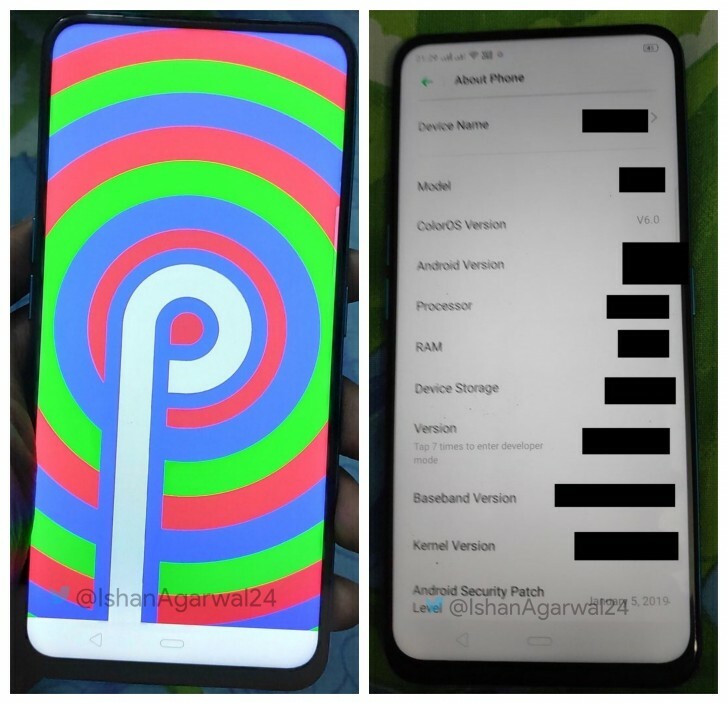 We assume this is the F11 we are seeing here given the thick bezels. After all, the R-series are flagship phones so we would expect slimmer bezels or at least just as thin as the Oppo R17's. Also, the shape of the fingerprint sensor looks straight out of the Oppo F9. Then again, the camera design is closer to the R17, so perhaps the more affordable lineup is going to catch up to the more premium one. We'll keep an ear on the ground and keep you updated if more info on the phone pops up. Not at all. Slim bezels = the future. I bet you still use a bezel-beast old iPhone LOL. Even the notch is 1000% worse than this beauty. Looks ridiculous with that camera pop up. Completely r&tarded. Ugly? It looks the same as every other phablet. ?